Designers Fountain Gladiator Collection 3-Light wall lantern in polished brass finish, features stainless steel/solid brass construction. The clear glass shade brings elegance to the home. 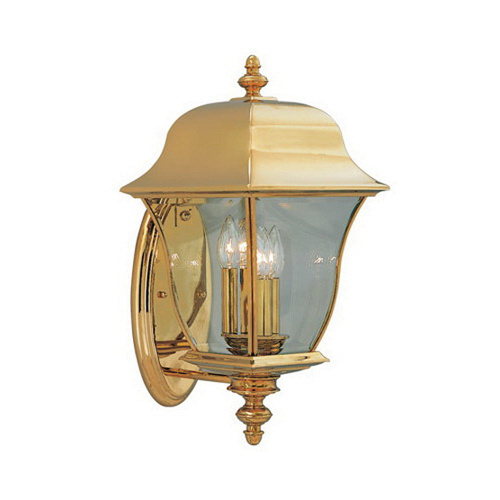 This lantern uses three 60-Watt candelabra incandescent lamps that have voltage rating of 120-Volts. It measures 11.5-Inch x 10-Inch x 20.5-Inch. Lantern is UL/cUL listed.